Earn $3.99 in Rewards credit. Click to learn more. 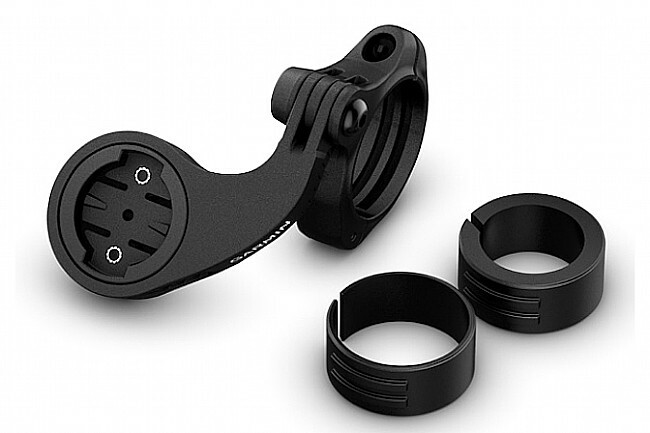 Be ready for any terrain with this mountain bike mount designed specifically for bikes with short stems. The Garmin Edge MTB Bike Mount is ideal for off-road riding when you may not want your Edge bike computer mounted in front of your handlebar. Garmin makes great products but this mount is a little too bulky trying to accomodate too many bar sizes and mounting angles. Small crash broke he internal mount and rendered it useless after the first ride so switching to something aluminum like a K-Edge mount.